Scott and Phillipa Leggo in their new Kingston gallery. Photos: Supplied. Canberra landscape photographer Scott Leggo will open his own gallery and shopfront in Kingston this Saturday (9 June), establishing a physical presence in the capital after being online for a decade. 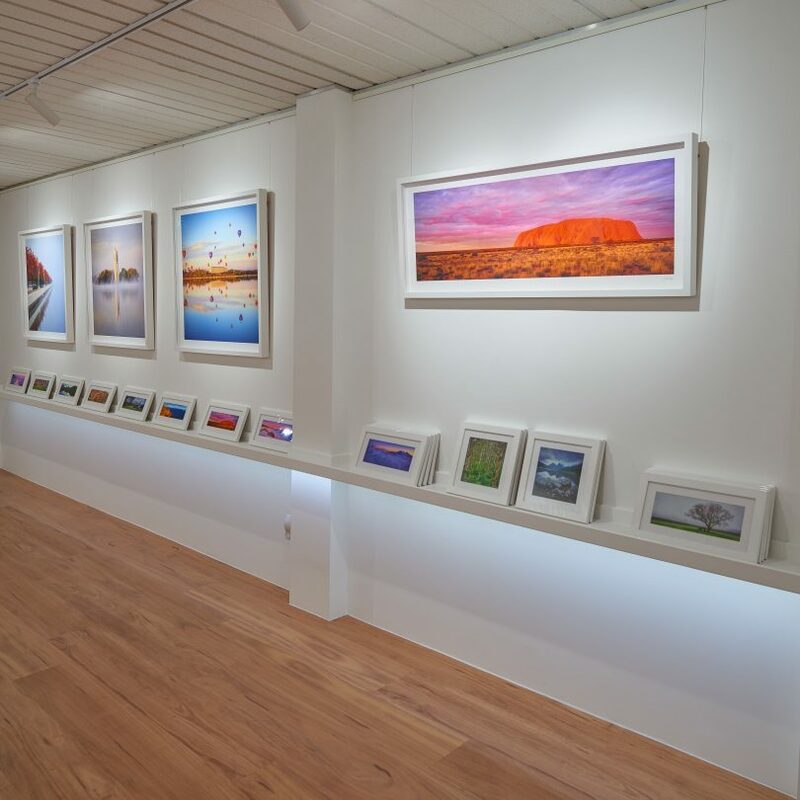 Canberra’s first permanent landscape photography gallery will be at 45 Jardine Street, opposite Green Square, and will showcase Scott’s work from around the nation and across the capital. Scott says that after 10 years in business online, it was time to make the move to a physical site where people could view his work as it was meant to be seen. “People can look at an image on a website all day long but it doesn’t match being able to see it in print or printed large,” Scott says. It is also a response to the many people who had asked whether Scott had a gallery where they could view his work. “We’ve done a couple of displays at the Canberra Centre over the years and exhibitions elsewhere and they have always been a big hit where people can actually physically see the product,” Scott says. Scott runs the business with wife Phillipa, who has worked with some of Australia’s biggest companies, selling photographs and prints for people’s homes and workplaces around Australia, as well as to overseas customers such as embassies. Many of the purchases are actually gifts. 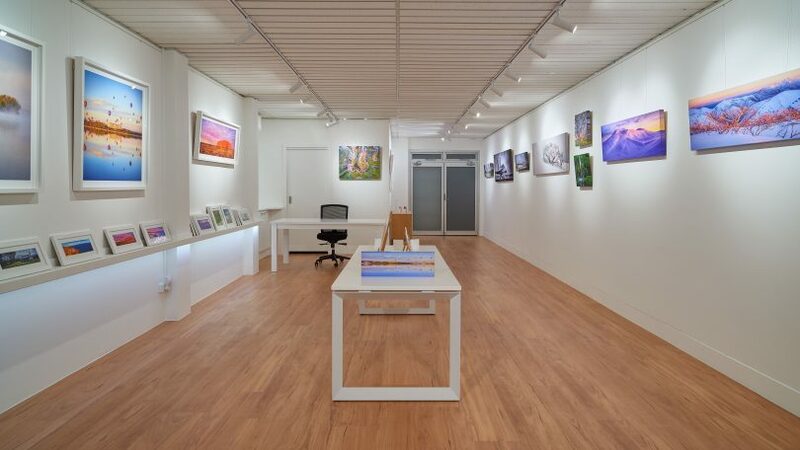 Scott says he was keen to locate the new gallery in the Kingston area, which is not only close to the family home but offers a growing, vibrant part of Canberra that has undergone revitalisation in recent years. People will be able to see a range of local and national images, big and small and in different formats, including framed and canvas prints as well as new acrylic prints – on the back of a sheet of acrylic, which Scott says is a clean modern way of presenting them. Scott also hopes in showcasing Australian landscapes to create a destination for tourists, with the smaller, framed prints suitable for visitors to take with them if they are flying home. “Small acrylic desk blocks are perfect for farewell presents to sit on peoples desks. In the Canberra market we have a lot of people from overseas, on exchange, or those from military or government departments that want to take a little bit of Australia back with them overseas. There will be a range of price points, and hopefully something for everyone,” says Scott. For Scott, landscape photography has been a ‘fantastic excuse’ to travel around Australia, but it wasn’t his first calling. One catch; he wasn’t a photographer. “Being an ex-military and a diplomat I was probably the complete opposite of what you’d think of as a traditional artistic photographer,” he says. The eventual results made an impression on his colleagues, who said he could sell some of his photographs. 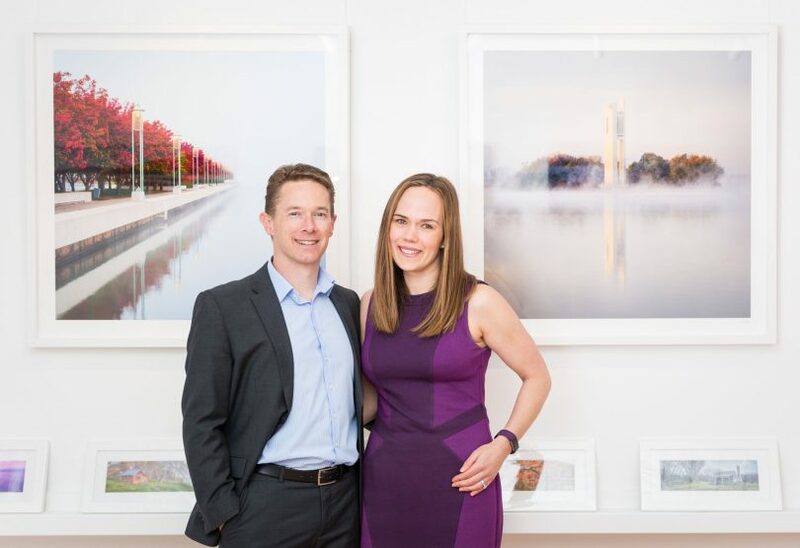 The last 10 years he has juggled photography and management consulting while establishing the online business, but now with the new gallery, it’s a full-time commitment for him and Phillipa. Originally from Melbourne, he and Phillipa emphatically call Canberra home and are raising a daughter together. The gallery will have a soft opening on Saturday (9 June) but Chief Minister Andrew Barr will conduct the official opening in late June. Have you seen missing 28-year-old man Scott Williams?